'Jerome Robbins 100' Is A Centennial Celebration Of Timeless Choreography Robbins directed and choreographed many of Broadway's biggest hit musicals, including West Side Story. Now, New York City Ballet, the company he helped co-found, is throwing a festival in his honor. 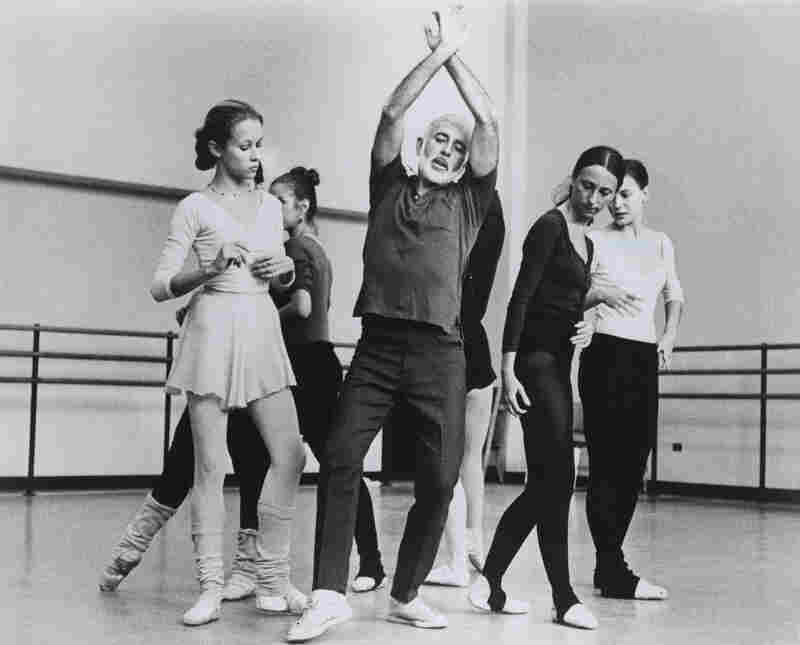 Jerome Robbins was considered one of the greatest choreographers of the 20th century and his works continue to be performed around the world. Above, members of the Vienna State Ballet dance during a Robbins tribute dress rehearsal in April 2011. The New York City Ballet is now marking the centennial of his birth with The Robbins 100 Festival, featuring 20 of the master's works. Dancers from The American Ballet Theatre perform Robbins' ballet Fancy Free in 1946. The ballet was a sensation — contemporary American characters, dancing in a way that fused popular dance forms with heightened poetry, just like the music. Bernstein had already started making a name for himself, but Robbins — born Jerome Rabinowitz in New Jersey — became a star, too. Robbins went on to direct and choreograph many of Broadway's biggest hit musicals; West Side Story, Gypsy and Fiddler on the Roof, among them. And he created dozens of dances for the company he helped co-found — New York City Ballet. As part of a centennial celebration, New York City Ballet is devoting most of May to a festival of Robbins' work. Robbins rehearses The Concert with Christine Redpath, left. For 55 years — until his death in 1998 — Robbins created dances that expanded the vocabulary of modern ballet. Redpath was present at the creation of many of these, from the early 1970s onward, and says Robbins could be a bit cruel. "Honesty is what he was really after," she says with a laugh. "He sometimes had to really, you know, get down the facades that some people put up ... I'm performing. I'm standing like a prince, so therefore I'm performing. No. He wanted you to stand like a dancer standing there — and be a real person." "When you're taught a Robbins ballet, they're always very specific," says Jared Angle, a New York City Ballet principal dancer who has 15 of the choreographers' ballets in his biography. "It's sort of like method acting. Like, they really make you examine who you are, what your character is, where you are born, where you live. ... When we learn sort of our normal Balanchine ballets, they don't go into character analysis. They just teach you a step, and then you learn the counts, and then you go out and dance it. " That kind of character analysis came in handy, when Angle danced in West Side Story Suite — he's been both a Jet and a Shark. 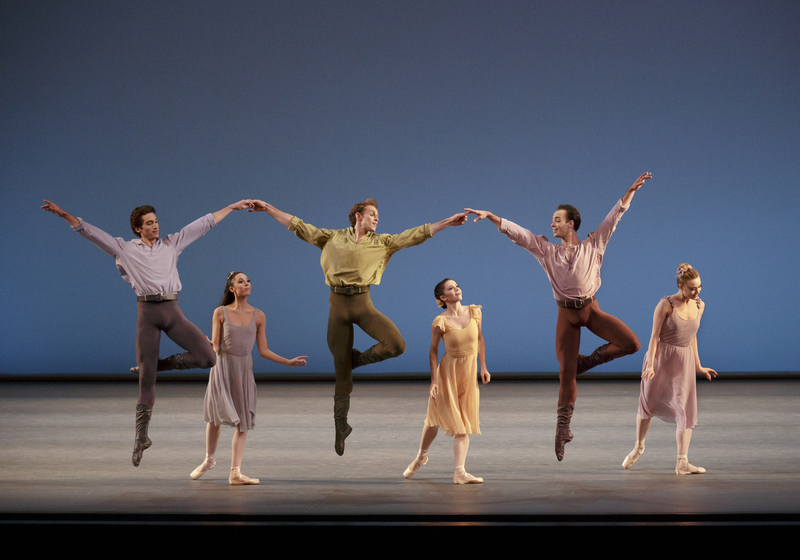 Robbins created that suite for City Ballet from the work he did on the landmark 1957 musical. "I remember all my collaborations with Jerry, in terms of one tactile bodily feeling, which is his hands on my shoulders," recalled composer Leonard Bernstein at a Dramatists Guild Symposium in 1985. Bernstein and Robbins worked together throughout their lives. "I can feel him standing behind me, saying, 'Yeah, now just about four more beats there and another bar... no, that's too much, too many ... yeah, that's it!'" Robbins said he could see the movement in the music Bernstein was creating: "Lenny would play something and I'd take off right there in the room he was composing in," he recalled. Robbins choreographed Dances at a Gathering to the music of Chopin in the late 1960s. 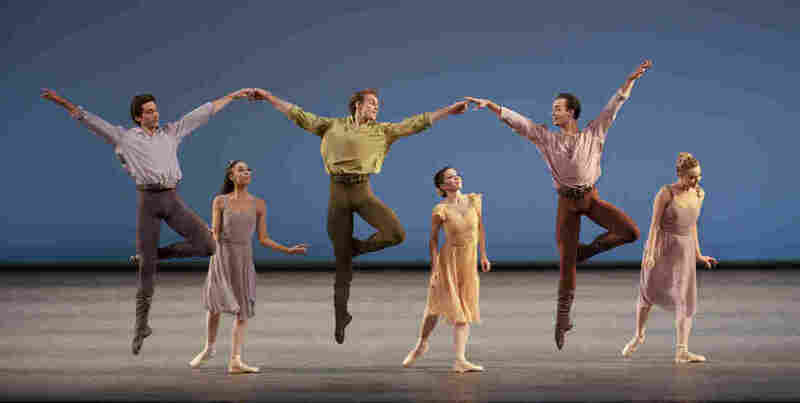 It is among 20 works being performed this month by the New York City Ballet to mark the centennial of Robbins' birth. Robbins also saw movement in the music of Stravinsky, Philip Glass and Chopin. Robbins' masterpiece, Dances at a Gathering, was a signature role for ballet star Wendy Whelan. She remembers Robbins was painstaking and psychological in his approach. "You really have to challenge yourself to know yourself better, when you're doing his work," she says. Whelan thinks working with Jerome Robbins made her a better dancer — and a better person. The Robbins 100 Festival, which features 20 of the master's dances, begins at New York City Ballet on Thursday. Andrew Limbong and Nina Gregory produced and edited this story for broadcast. Beth Novey adapted it for the Web.